You asked for more sizes of Starry Path. 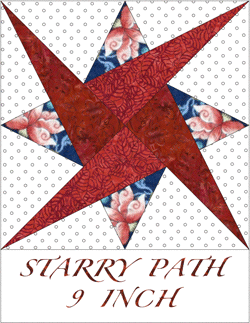 New shape collections are ready for Starry Path 8 inch and Starry Path 9 inch. 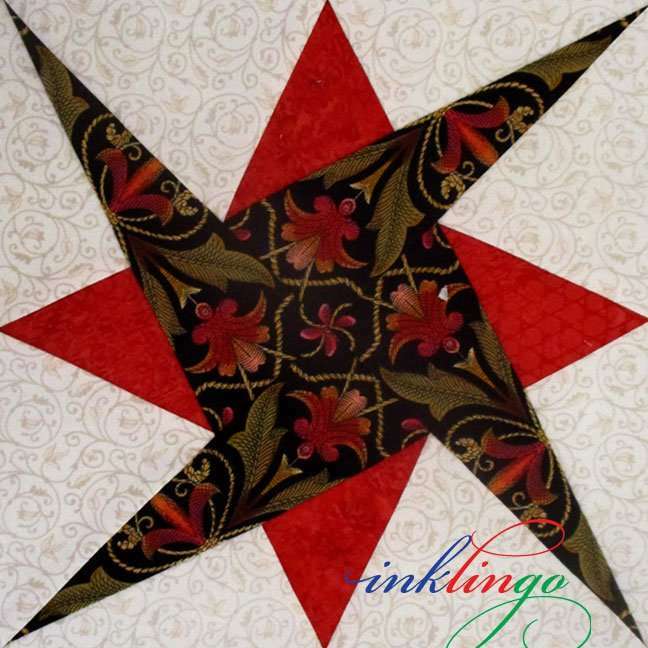 They work very well in settings with other Inklingo 3, 4, 6, 8 and 9 inch blocks. These are especially quick and easy by machine. Print on fabric (or on paper). The variety of layouts (including combos) make it easy. 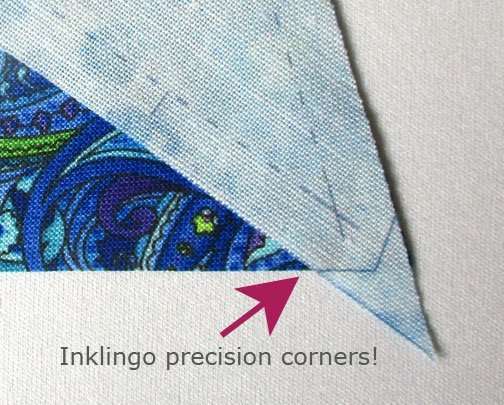 The precision corners and easy sewing sequence (no insets!) make this design especially easy. 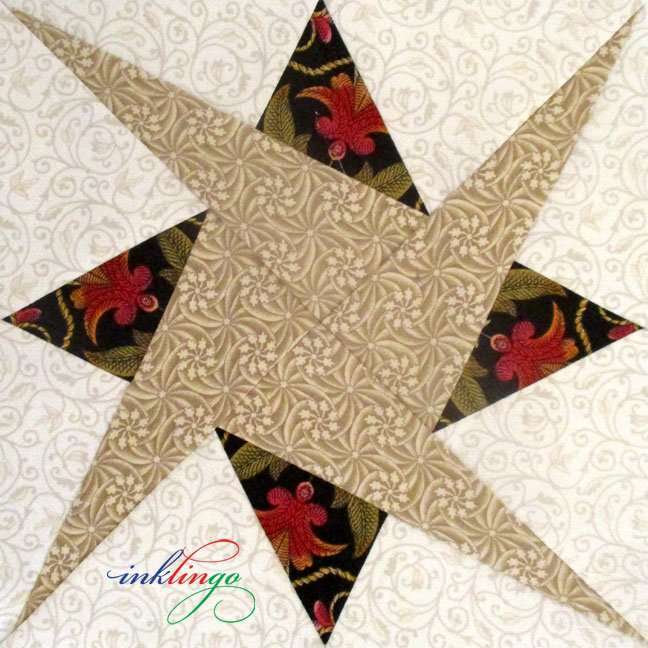 I think most quilters chain piece by machine but this design also offers opportunities for “continuous stitching” by hand if you need a portable project. These blocks are so fast to sew that you can take some extra time to fussy cut and still finish in a hurry. I think that is one of the (many) reasons Starry Path has been so popular. Everyone loves fussy cutting and it is even more fun when you can get immediate results by machine. As you would expect, there are precision corners on the shapes to make everything as easy as possible, whether you trim the dog ears or not. I always recommend starting with the FREE Diamond Triangle Square shape collection. When you have printed the free shapes and browsed the first chapter of The Inklingo Handbook, you will be ready for ANY shapes, including the new Starry Path. 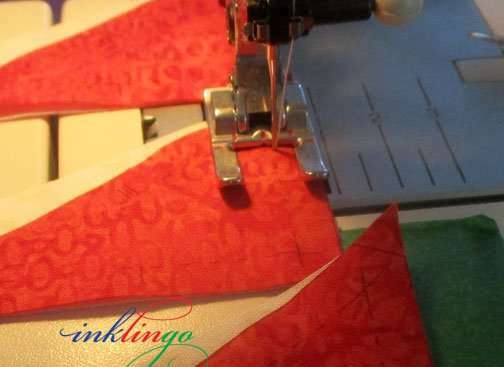 Monkey and I are all about making quilting more accessible–and that means affordable too. The new sizes are $20 today, going up to $25 next week—still a fabulous deal! Starry Path is such a simple, exciting design,that I might even do more sizes, if there are requests. I am planning to show you how well these stars combine with other blocks for exciting results, so please come back next time.